Raise your hand if you’re like most of my clients and do not have an eyelash routine at all? Come on, be honest. (and please, please be honest with your skincare professional, chances are we already know.) If the only thing your eyelashes ever get to hang out with is your mascara, this blog entry is for those of us who simply take our eyelashes for granted. Maybe you do not intend to take your lashes for granted, you’re just like me and find it an insufferable process to actually find a mascara that works for your tends-to-be-watery eyes? Maybe you’ve heard about lash lengthening Latisse (prescriptive strength) and you’ve seen others with great results, but you simply cant afford it, or you are not quite daring enough to use it if you have light colored eyes, and do not want to turn your blue eyes brown. After many trials and a few tribulations, we have finally come up with a proprietary blend that has produced noticeable results without side effects nor chemicals. It is very important to note that many scientists have studied hair loss (eyelashes included), and nothing can replace missing and needed valuable nutrients, specifically fat soluble vitamins, b-vitamins, vitamin C and collagen when discussing lashes. It is always encouraged to see your Physician if you are experiencing sudden or drastic hair loss as this could be the way your body is telling you something is going on. Do not ignore these signs. Remember: we treat healthy bodies! Back to the great news. If you would like to lengthen your lashes (or brows) we are offering a fabulous nighttime serum that is applied just like you would apply mascara – only this is applied at night. We have packed it full of Omega-6 fats, proteins and vitamins that encourage lash growth. We have also included anti-inflammatory oils that not only moisturize the area around the eye but are also anti-wrinkle. In addition, there are no seed (nut) oils included – so even those with peanut allergies can enjoy this fabulous nighttime serum. To purchase, visit our Etsy shop, or if you are a client of About Face, ask that one be available at your next scheduled treatment. Ingredients: pure forms of Emu oil, castor oil, Vitamin E and lavender essential oil. Directions for use: apply once a day at night to freshly cleaned skin. Safety: do not reuse or share with anyone your mascara wand/applicator or bottle. If at any time, you are diagnosed with an infection of your eye, throw away all mascara and eye lash serums and start with new product once your infection has cleared. With graduation just a month away, summer is barreling right around the corner. It is during April and May that many clients (should) place some focus on their back! It’s the season of summer dresses, beach trips and the time where your skin will often experience the most exposure. Now is a fantastic time to schedule your mole mapping and skin check with your Dermatologist! Don’t put this off! In my own life, I have lost two friends under the age of 30 to melanoma that metastasized into solid brain tumors. It’s no joke. If you need a recommendation of a good Dermatologist, give me a call (or a text, or a PM, or a tweet..you get the hint). While we’re on this subject, I know that like myself you all have stumbled upon Groupons or other special offers for laser services. In no way am I saying that businesses who run these specials are not qualified, just a gentle reminder to know that the laser is not as important as who is holding that laser. If you have “brown spots” and are not sure if they are precancerous, how would a clinically untrained individual know when NOT to treat that brown spot? The body has an incredible way of providing clues when something is wrong. Let’s say there is a lesion and it fails the ABCDE’s of skin cancer and an untrained individual simply removes the “brown spot” for you to gain a laser sale. This could lead to a disastrous diagnosis down the road (stage 3, stage 4?) cancer – all because the “signal” the body used was taken away. All of this to say – be careful. If the laser technician cannot describe cancerous versus noncancerous lesions, do not let them deploy a laser on your skin! In this last year ALONE, I have sent 19 individuals to a Dermatologist to have lesions (many that the client didn’t even know they had) checked. One, a young mother of a 3 and 5 year old. She had skin cancer. Caught early. Did I make that sale that day? No. Can I sleep at night? Yes. (Well no, but not because of this!) Do I have a client for life? Yes. She was in for laser hair removal. I promised her it could wait. She has since returned with a clean bill of health and now I’ll deliver the hair-free legs that she wants. We both win. Her babies win. Now that my ever-so-gentle-reminder is out of the way, during the month of April and May, we’re highlighting our specialized back treatments. No two treatments are alike, because none of you are alike (even the three sets of twins I treat)! Lightening & Brightening: This laser and IPL service includes all components of the classic back treatment – with the addition of laser and IPL for the removal of scarring, brown spots or red dots. regular price $125 (20% off – $100). Use a broad spectrum sunscreen with an SPF of at least 30 – and reapply every two hours. Reapply after every swim or profuse sweating. (If you are not sure what kind of sunscreen is best for you – ask us for a recommendation). Don’t forget your lips! Wear lip balm with sunblock with an SPF 15 or higher. Please just stop the use of tanning beds. Melanoma is not cute. If you’re going to be outside for an extended period of time, check the UV index. Reapply sunscreen accordingly. Obviously, the sun’s ultraviolet (UV) rays can reflect off water, sand, concrete and snow, and can reach below the water’s surface. However, certain types of UVB light penetrate fog and clouds, so it is possible to get sunburns even on overcast days. If you are taking an antibiotic or other medications, ask your health care professional if it may increase your skin’s sensitivity to the sun) OR LASER. If there is no way to avoid over-exposure, check out clothing lines that block UV rays. VERY cool. If I had little children, you can bet they’d be sporting this line of clothing. It’s just smart. Are you ready to be pain free and/or are you ready to get moving? If you read the above headline and shouted (yes!) then this post is for YOU. I am excited to be able to share this fantastic opportunity with our clients in and close to Murfreesboro, TN. I have recently partnered with Murfreesboro H3O (click on logo to go to their website). H3O Aquatics is the most advanced and accessible warm water therapeutic exercise and recreation center in the world and it is right here in Murfreesboro. This facility has been on my radar for quite some time, and I, myself finally started to use the facility. Not only is this business locally owned, it is Veteran owned. They do amazing things for Veteran’s in our community. On my second visit there, I met a Vietnam Veteran who looked me in the eyes and said “you know, this is only my second time here. I just walked 2 miles. In the past several years, I have barely walked from my bed to my living room. This place, well this place gives me HOPE”. If you know me, you know my dedication to Veteran’s. Warm Water Therapy and Fitness (NO Physician NOTE Required)! Exercise on your own with Underwater Treadmills, bikes, and other aquatic equipment cost is .25 per minute per person, or $15 per hour. Want to have personal training, but can’t afford the price? No problem – find 3 of your friends to join you and pay just $10 each for the class. (this is $10 per person times 4 – to meet the training fee of $40). Read more by clicking here. HydroMassage bed provides a custom heated massage (and is one of Lori’s favorite things. ($7.50 for 30 minute massage or $15 for 1 hour massage). This is a private room with a hydromassage table that you control yourself using the touch screen pad. Walk-in’s are accepted to work out or for hydromassage – but they also take reservations and if you have a tight schedule, I recommend you schedule a time just for you. If you are one of our clients who has been struggling to lose weight, improve your physical fitness or just need a friendly, no judgment zone place to work out – this is the place. First, if you want to go into Murfreesboro H30 on your own – go on in and meet Captain Burrows and take a tour of the facility. Plan on staying and trying out the hydromassage table for 30 minutes (no change of clothes or towel needed) – or – exercise in one of their heated therapy pools for 30 minutes for FREE. All you have to do is say “About Face” to Capt. Burrows or one of his staff and it will be completely free. They’ll try not to pivot and march away from you (ha)! One per person only, please. (If you happen to be in the treatment room anytime soon, I do have printed gift certificates available for this free session as well). Next, we are kicking off our About Face wellness program. This is a program for active About Face Clients only. How do you know if you are an active About Face client? You are if you have been in and treated at least one time in the last calendar year. If you haven’t been in during the last 12 months, you know how to take care of that! Click here to schedule an appointment! This is necessary because in order to create an affordable well-rounded wellness program that works for everyone, I have to know you. During your treatment, we’ll multi-task and get your skin in shape too. There will be a free informational hour long session at About Face on Wednesday, January 20th, 2016. Pre-registration is required. At this information only session we will go over the program outline. No one-on-one skincare or wellness counseling will be offered during this hour (other than in group conversation). Bring a notebook and something to write with. There is a registration fee of $20 to join this group. Contact us by emailing us at (thatwoodardgirl12@gmail.com) or by sending us a message via our Facebook page by clicking here. You may also leave a voicemail or send a text to (615) 796-1915. This phone is not typically answered during the day while we are treating patients, but we will call you either in between or after we are finished. What kind of wellness program is this? This will be a 6 days a week, daily opportunity program for you to improve your wellness. There is no on-going fees for this program, with the exception of our group sessions at local businesses. These one hour private sessions are open to the first 8 About Face Wellness (AFW) registered participants. You will be able to get an entire one hour training session personalized for you – for just $10. These dates and times are FCFS. Once you are registered for AFW, you will receive a calendar of daily activities. In addition to Murfreesboro H30, we’ll be doing group walking hours where I’ve also invited local wellness professionals to join us on this walk and answer any questions! (no cost to you). In other words, some activities will be free and some will have small fees if you chose to join us when we use local facilities. Lori has been working hard to reserve times and dates at local wellness places at reduced costs for this groups participants. These group activities will include something for everyone, and Lori will be attending all. To ensure the safety of group members, we will not be publicly posting our walk locations. All activities and locations will be sent to only AFW participants. What’s better than group safety, physical fitness and affordable wellness? The only thing better than this is that AFW participants will be earning points for every AFW group activity they attend for Free skincare or laser treatments. I told you this was going to be good. So…. Step 1: register for the program. Step 2: register for the information only session, Wednesday, Jan 20th – 9am (not mandatory for group participation). Non attendees will receive information via email. Can you believe it’s time already for our once a year laser hair removal sale? When I say – sale – I mean – the least expensive it will ever be. Now that we have that covered, did you also know that it can lighten skin that has been darkened by the presence of hair (and other factors?). These areas commonly include the underarms and bikini area. (read to the end for the sale announcement). Laser Hair Removal was one of the very first FDA approved laser treatments, and we’ve been offering this service since 1999. I have lost count of the number of cases I have performed. To be honest, there are skin rejuvenating procedures that I do that are far more exciting to perform than laser hair removal. However, for clients who get a terrible rash with every swipe of a razor blade or who have such coarse hair that it needs to be shaved several times per day – they have been so thankful. I have even heard “life changing” come out of their mouths. There is at least two more benefits of laser hair removal that you may have not even considered. First, the fact that it can whiten (or lighten) the area treated – such as underarms or bikini area. Many clients find that an added benefit is that these areas are no longer excessively darker than the skin on the rest of their body. Tank tops and other clothing that exposes their underarms can stay! With that being said, will laser cause your skin to lighten if there is no discoloration? NO. Lasers work utilizing selective photothermolysis (SPTL), which matches a specific wavelength of light and pulse duration to obtain optimal effect on a targeted chromophore (in this case – melanin) with minimal effect on the surrounding tissue. The wavelength is absorbed by dark objects, so laser energy can be absorbed by dark material in the skin, leaving the rest of the skin alone (rather, being color blind to anything else in it’s path). Melanin is considered the primary chromophore (or target) for all hair removal lasers currently on the market. Melanin occurs naturally in the skin, and gives skin and hair their color. There are two types of melanin in hair. Even more technical – Eumelanin gives hair brown or black color, while pheomelanin gives hair blonde or red color. When you get a laser hair removal treatment, the process not only will remove hair, but also will clear away stubble and follicles, which will leave your armpits looking much lighter than would otherwise be the case. The procedure can fix the problem of dark armpits (or other areas) for the long-term period, something that neither shaving or waxing could ever do. I typically ask clients to shave the area to be treated the day before their treatment. If shaving causes a bad rash, it is best not to shave before your appointment. Otherwise – shave the area. Any pain associated with laser hair removal is caused from hair that has shed outside of the body actually burning to the skin. Bare skin rarely feels anything. Yes, I said anything. If you have had laser hair removal in the past and it was extremely painful – it was most likely not the right setting for you, or their laser did not have a primary cooling system. How do you know? A laser with primary cooling has it built into the laser tip, versus a “cooling” spray or forced cold air blown at the skin after treatment (which is secondary cooling). Both of my lasers have cooling built into the tip – this means they stay 4 degrees – before, during and after each pulse. I can not tell you the number of clients I meet that tell horror stories of “painful” laser hair removal. Goodness, who would endure that? As someone who has had a long medical career (and sometimes, medical procedures – just hurt), I focus on the delivery of non painful aesthetic treatments. So, I only select pain free lasers, and you shave the day before. When you arrive, I will cleanse the area, apply a clear but cold ultrasound gel. This not only helps conduct the laser wavelength, but also helps with my pain free philosophy. After the gel is applied, The laser will be in contact with your skin and treatment of the underarms literally takes a few minutes. The gel will be wiped off and that’s it. You’ll be rescheduled for your next treatment and you’ll be on your way! Indeed, laser hair removal can whiten your armpits even as it painlessly gets rid of unwanted hair in the armpit region. You don’t have to go with using a shaver or wax, which provides temporary relief from hair growth. These alternatives to laser hair removal are also painful or at least uncomfortable, which makes laser hair removal the obvious choice. One more thing. It saves you money. I mean, seriously. Have you noticed the prices of razors? UN BELIEVE ABLE. Add up $10-$20 (or more in some areas) for disposable razors then multiply that times the number of them you’ll need in a lifetime. Since I was the guinea pig when our practice started offering laser hair removal over 16 years ago, I had not purchased a razor in a very long time. When my daughter became the age where she needed to shave – I thought I was experiencing SVT’s when I saw how much they are. Let me make this short and sweet. Anywhere. Yes, anywhere. If it’s a body part, I can assure you I have removed hair from it. The sale, tell me about the sale. Here it is: today only – purchase a package of laser hair removal for a small area – for just $175. What does that mean? That means you can select a small area – such as you upper lip, your underarms or your chin and get all the treatments you require within one year’s time – for $175. Need both your upper lip and chin treated? Buy two packages and you’re all set. 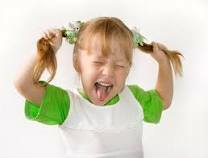 Treatments are spaced out at approximately 4-6 weeks depending on hair type and each client. Regular pricing for laser hair removal is $125 per one hour session (which can last from minutes up to one hour). Why do I offer “pay as you go”? First, because I have never liked the “packages” method that traditional medspas offer. I have always felt like that leaves people out of being able to obtain these services. I much rather prefer inclusion! Also, I am very confident in my ability to treat clients safely and appropriately. I do not feel the need to strong-arm my clients into large packages that often contain services they do not need. I have the most experience in this demographic – and the best results (not to mention that pain-free style!). Upper Lip, chin, underarms (axilla), ears, toes, fingers, bikini line (this is straight across the top – the area that would show above underwear), happy trail (the straight line area from the pubic bone to the naval) and areola. Want the special? Email your request to: thatwoodardgirl12@gmail.com. You will receive an invoice via email. All specials must be paid for today, no exceptions. (Additional staff is on hand to process these orders today only). Any invoices not paid by 11:59pm 1/11/16 will be deleted and regular pricing will apply. See you in the treatment room soon! 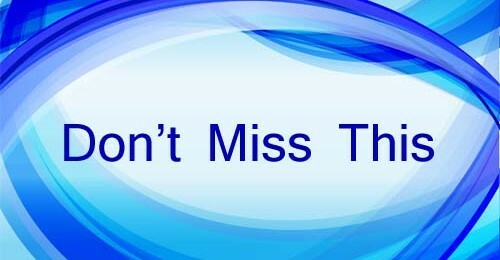 Note: If you are NOT on the email list, please click here and create a profile on schedulicity. This will ensure you get email specials that are not always posted elsewhere. 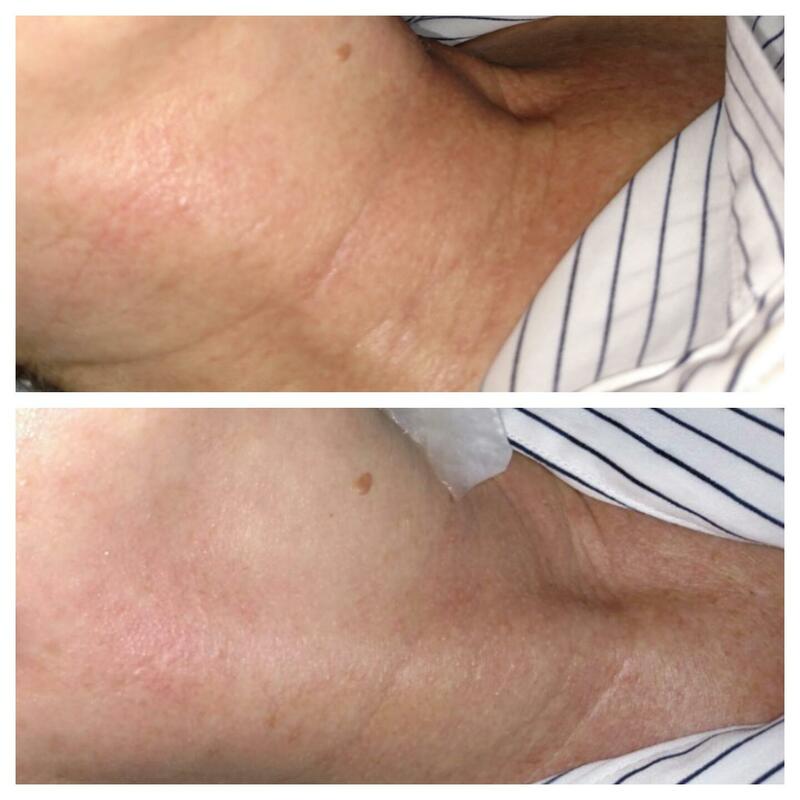 Lori is highly trained to utilize this revolutionary technology to stimulate collagen production, tone muscles. This laser uses a combination of Infrared and bipolar RF to bulk heat skin and attempt to shrink collagen fibers in the skin providing a way to tighten the skin AND sculpt the body. Once every three to four weeks x 2-3 treatments for optimal results. Maintenance is performed utilizing laser genesis. You will see an improvement after each treatment, however, most clients report that they are most satisfied with 2-3 treatments. There is no pain or discomfort. It is however, cold. We do use ice/cooling gel as well as the built in cooling of the laser tip (that stays between 4-10% – that’s cold). 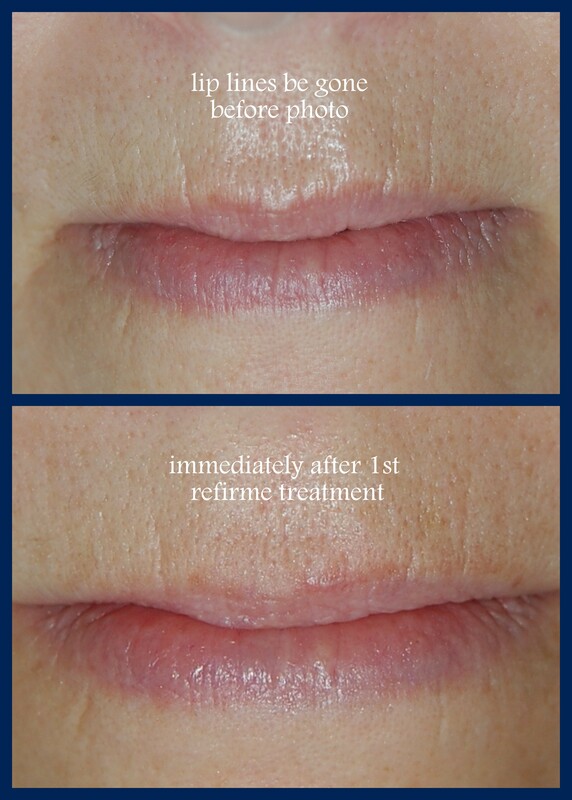 Skin Tightening Technology is safe and effective. There is no recovery or downtime. 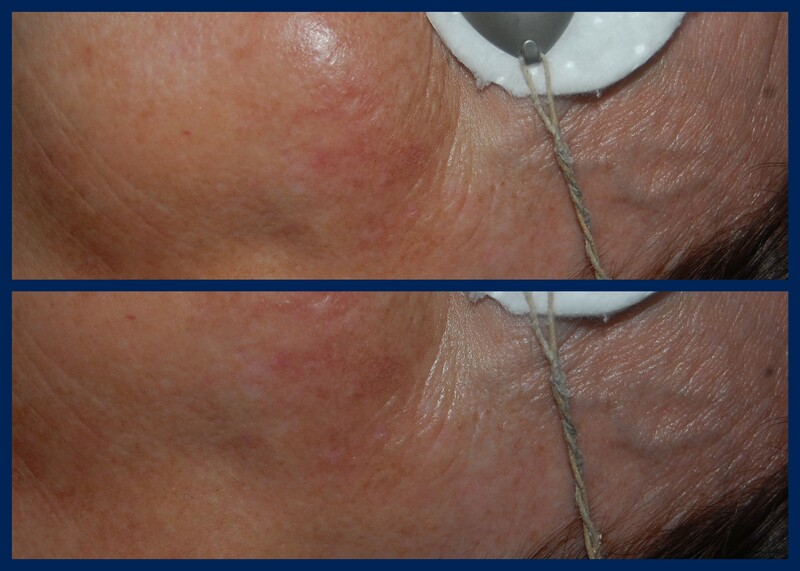 Immediate results, best improvement when multiple treatments are performed in close intervals. Can everyone have this treatment? Yes, all skin types can have this treatment. Lori is specifically and extensively trained in skin of color. If you are pregnant or have a pace-maker, you are not a candidate for this treatment. Each area treated will take approximately 90 minutes per session. Umm, Yes. (Like I would say no). Skin tightening is a great boost for collagen for those over age 30, however – this treatment is not a miracle. If you leave and immediately gorge yourself or do anything that stretches the skin, well – you may need re-treatment. Come to the treatment plenty hydrated. 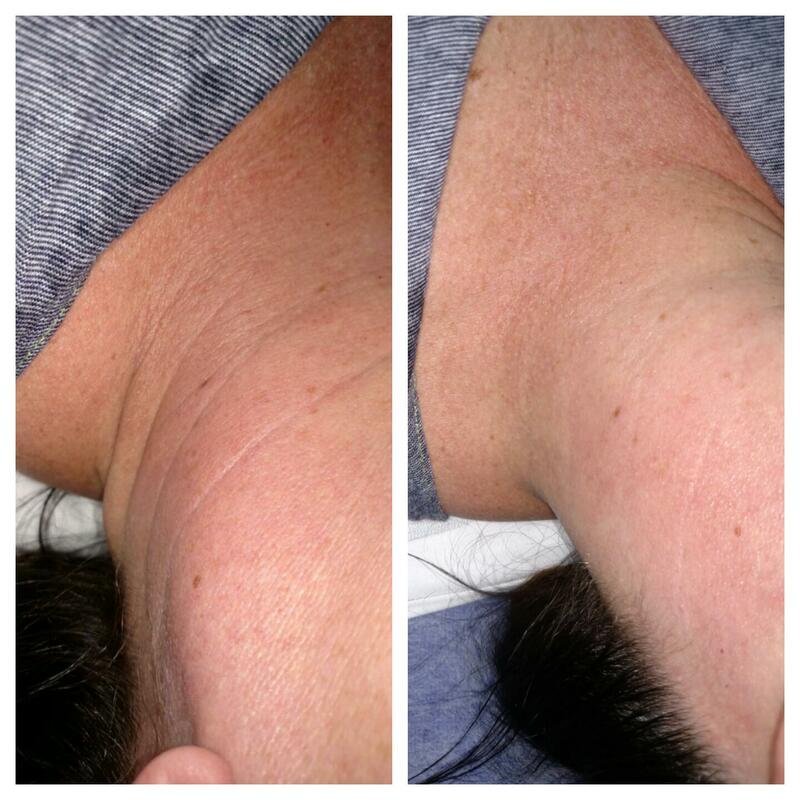 Here are some photos of clients that Lori treated last week. See for yourself the amazing results. 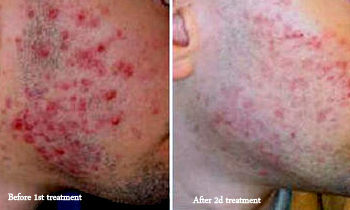 All of these photos are taken immediately before and immediately after the first treatment. refirme – between the brow – “11’s”. Now for the great news! This treatment is one that is typically very costly -due to the fact that the “pulses” have to be purchased by the business (we called around Murfreesboro, Smyrna and Nashville to obtain the cost for the 5 spas that locally offer this treatment. Their prices ranged from $800 per “zone” to $1200 per “zone”. Most of them classify a “zone” as – one area on the face, the entire neck, only one side for love handle or above the knee on one leg (that seem a little crazy – who would purchase just one leg?) – another words, their price is really $1600). Last week, clients were able to purchase any area for just $250! This was below cost – what I was charged for the pulses used is what clients paid, however in some cases – I did go over the pulse count to achieve the greatest results. I did not profit from these first 11 treatments, I passed 100% of the savings on to my clients. Since my original laser has not yet been returned to service (say a prayer for the technician who arrives from California today) – I have negotiated a pre-purchase price per pulse from the vendor. What this means is – they will allow me a one time purchase of “X” amount of pulses that I can bank. Each quarter, they download the number of pulses I have used and charge accordingly. For example, if I pre-purchase 5,000 pulses at a discounted rate and the first quarter I use 6,000 pulses – they will only charge me full price for the 1,000 overage. All of this to say – if you really want this service for yourself or to give as a gift, purchase an area of treatment for just $300! There is no limit to the number you can purchase! Due to the sensitive timing of their offer to me, all purchases must be complete before close of business Friday 9/25/15 and no exceptions can be made. If you do not have an appointment before Friday and would like to purchase, you may email Lori directly at “thatwoodardgirl12@gmail.com”, or PM the request via the About Face Facebook page. Keep in mind, that final negotiations have not yet taken place, but we believe that our regular full price per Refirme treatment will be $600. I have been so pleased with this treatment, that I can’t see most of my clients needing more than 2 Refirme treatments for the face, and no more than 3 on any body area. 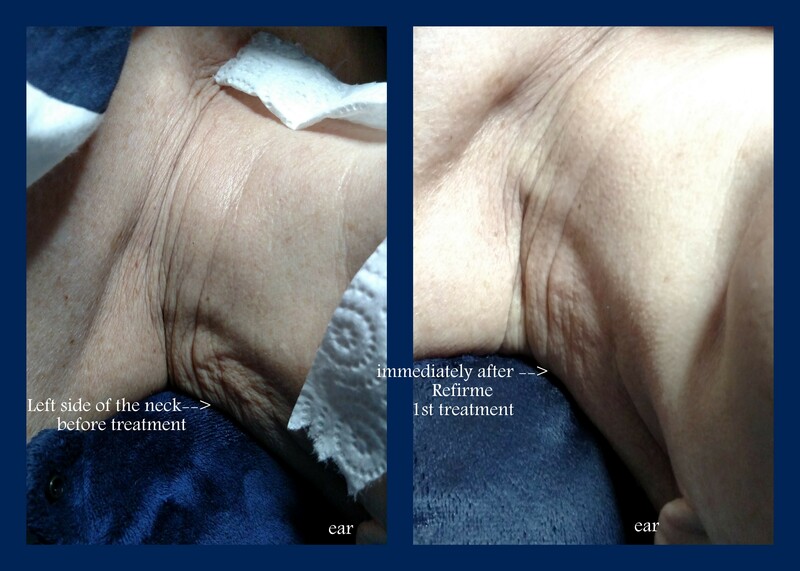 As always, we can maintain the results of this collagen tightening boosting treatment with the use of laser genesis. For those of you who are great readers and read this entire blog post – and whom love laser genesis as well – we are offering two additional bonus specials. These specials are as follows. This package is intended for the face and will last clients a full year, although the price paid for the treatments within the package never expire. The order of the treatments would be – refirme twice in a row (approximately 3 weeks apart) and then laser genesis to continue the results and maintain overall tightness and healthy looking skin – free of redness, large pores and fine lines, too! This package is intended for the body and/or body face combination. 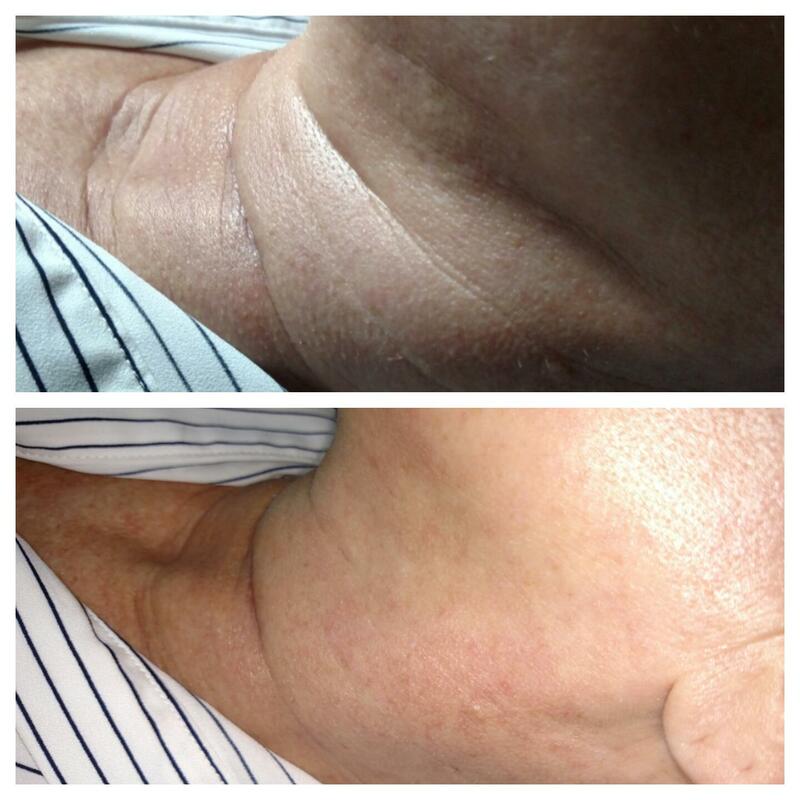 The follow up treatments of laser genesis and dermaplane would be for the face – and the wraps for the body. Have you heard about hot cloth cleansing (aka the portable oil cleansing method)? One of the strangest looks I receive from clients is when I suggest that they use oil, yes oil to cleanse their skin! Especially if the client complains of oily skin/acne/break outs to begin with. A few of them have even stated that it would never, ever, ever work on their skin. 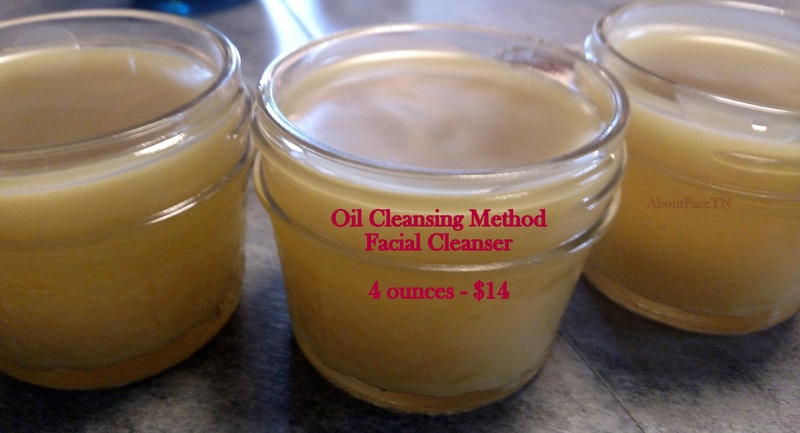 Since this method (Oil Cleansing Method, or OCM) stormed the internet with cult-like followers, I decided I would try it for myself and see what the fuss was all about. I didn’t just like it, I LOVE it. First, all of the solid oils and wax are melted using a double boiler. Then, the liquid oils are added and gently stirred. The mixture is them poured into 4 ounce glass containers, allowed to cool and the lids are secured. Castor oil has deep cleansing properties and I found when used with the ingredients above, any oily or waxy feeling on the skin when your cleansing, is easily steamed off with a hot as you can stand, washcloth. (A clean washcloth each time you cleanse, please). So far, I’ve made two versions of this. One with my base amount of castor oil (for regular/combo skin) and one with an extra helping of castor oil for those with really oily skin. The results are amazing! To use: Scoop out some cleanser with your clean fingers. Warm the oil up a little if necessary by rubbing it between your fingers and then apply to your face. Massage it pretty well into your skin in small circular motions with your fingers. It is my experience that many of us do not take the time to use products correctly – and if you do not heat the product up to at least the same temperature of your skin, how will it be absorbed? In order to work – all skincare products must reach an effective temperature. I normally spend 2-3 minutes cleansing by using small circular movements with my fingers. If there is any area where I feel like I need a deeper cleanse, I concentrate a little more in that area (sides of the nose, chin and forehead usually needs some extra attention). Then, i just take my washcloth and get it as warm as I can stand it. After wringing out the excess water, I simply place the washcloth over my face for a couple of I then wipe off any excess cleanser and immediately grab my jade roller out of the fridge and roll my face! If you do not have a jade roller you can always finish your cleansing process by splashing a little cool water on your skin. This cleanser is now available both in the treatment room and on our Etsy shop! The cost is $14. Visit our Etsy shop by clicking here. What can I expect during my dermaplane appointment? I’ve compiled a list of my most frequently asked Q&A’s regarding dermaplaning. 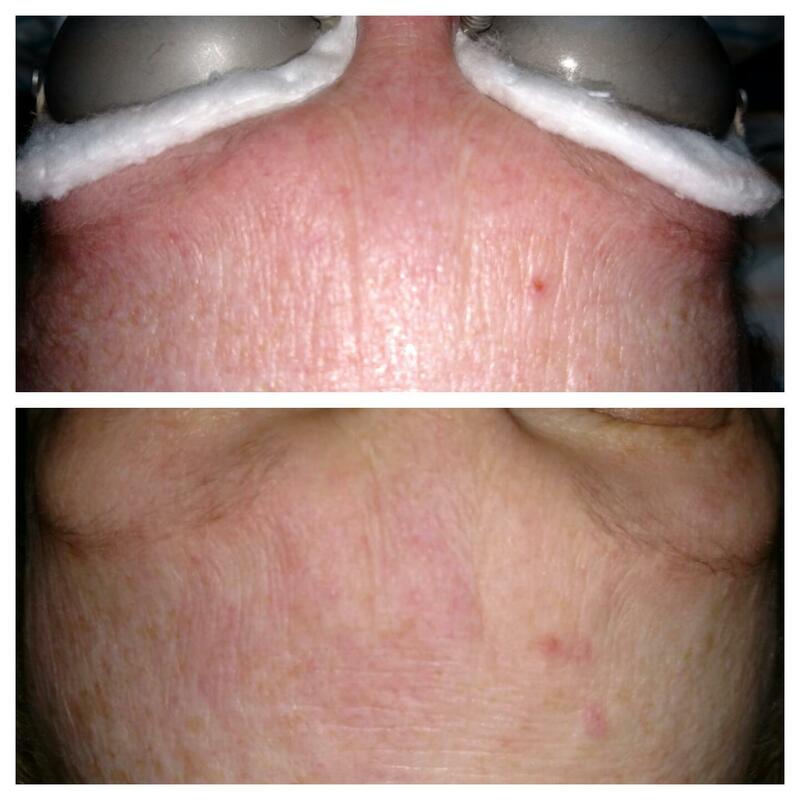 Dermaplane treatments last about 20-30 minutes. Your face will be cleansed, and a sterile blade will be used to gently exfoliate your skin. This treatment removes the thin, top layer of dead skin cells and fine vellus hair (peach fuzz) through a gentle scraping process with a blade designed specifically for this process. This exfoliation process prevents dead skin buildup that can make small facial wrinkles and acne scars appear larger, and often – what gives skin the “ruddy” look. Dead skin cells are what typically make your skin feel rough. Dermaplaning is non-invasive and has a very low risk of any complications. It clearly is one of the safest skin rejuvenation procedures available – and my favorite process to offer client that are pregnant and/or nursing who require exfoliation/rejuvenation services but whom shouldn’t use chemicals. Some clients will experience some mild redness for an hour or so after dermaplane, but this is temporary. Personally, in the hour or two after I do my own dermaplane, I find myself “stretching” my jaw because my skin feels tight (this is good, right?!) -and the closest thing I can compare the sensation to is that for the first day my skin feels like it has a slight wind burn (with no redness). To the touch it is incredibly soft and hair-free! There is no downtime for this process and many clients have this during their lunch hour and return immediately to work. Immediately! However, optimal results require regular maintenance treatments. If your skin has lost it’s look of vitality, how many years did it take for it to get that way? It takes time (approximately 32 days) to regenerate new skin cells, and with each dermaplane process, you are building a better foundation for new healthy skin cells. The answer to that is a resounding absolutely – yes! Not only can you combine a dermaplane with a chemical peel, or laser treatments, you should! By removing the outermost layer of the epidermis, whatever rejuvenating treatment that follows will without a doubt penetrate deeper and have a much more long-lasting effect. 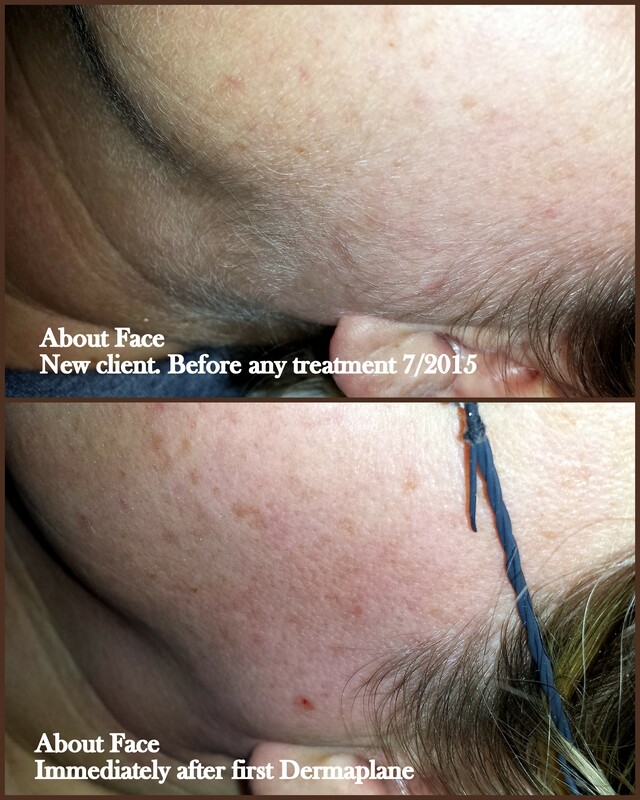 All laser genesis treatments are started with dermaplaning. Below is an example of how I use dermaplaning in combination with Laser/IPL treatments for faster more efficient results. Will the “peach fuzz” (or any hair on my face) grow back darker and thicker after a dermaplane? No. This is a common myth, but the hair on your face is not the same as the hair on your legs or bikini line. It will not be effected in any negative way by dermaplaning. In fact, many clients provide testimony in regards to the reduction in volume of fine vellus hair that grows back after several treatments. Although dermaplaning is not an FDA cleared treatment for the permanent reduction of facial hair (as is laser), many clients would indicate that the reduction of fine vellus hair is an added bonus to this treatment. Anyone with general good health can have dermaplane, yes. 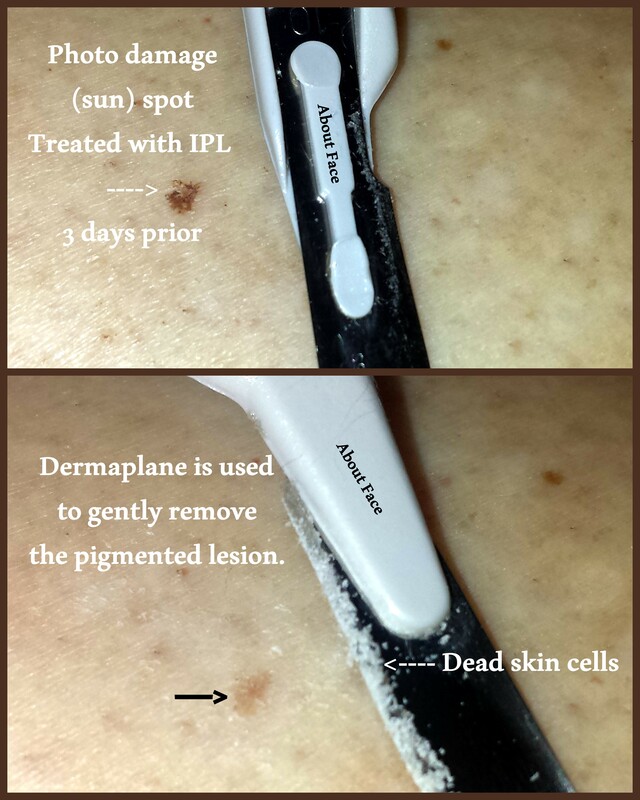 Dermaplane works on all skin types and colors to produce excellent results, with no skin color change or scarring. Safe for teen acne as well as older adults with thinner/more fragile skin and pregnant women. Regular use of dermaplane treatments will improve or eliminate superficial skin problems. However, it is not the most effective treatment for problems such as stretch marks, keloids (an overgrowth of scar tissue at the site of a healed skin injury) reducing fine-lined wrinkles, or very deep acne scars. Laser Genesis is far more effective in the treatment of these conditions. To read a former About Face post about dermaplane, click here. and for continuity sake, this is the real me as a teen (and one of my brothers). Look at all that acne! Flash forward about 27 years – my kids needed (and I needed them to use) facial cleansing pads of some sort. Teen girls tend to get some cyclical acne in the T-zone while teen boys seem to get it everywhere. Even teens without acne will experience a large increase in blackheads specifically around the nose. So I took a jelly jar into the treatment room to see what I could whip up. Of course, I still clean my face (exclusively) with grape seed oil, but I knew I wouldn’t mind a anti-aging treatment pad to use after I cleansed my skin at night. After making two recipes and trying them in our own bathrooms, as well as the treatment room for several months, we decided to share the recipe and how-to’s with all of you. 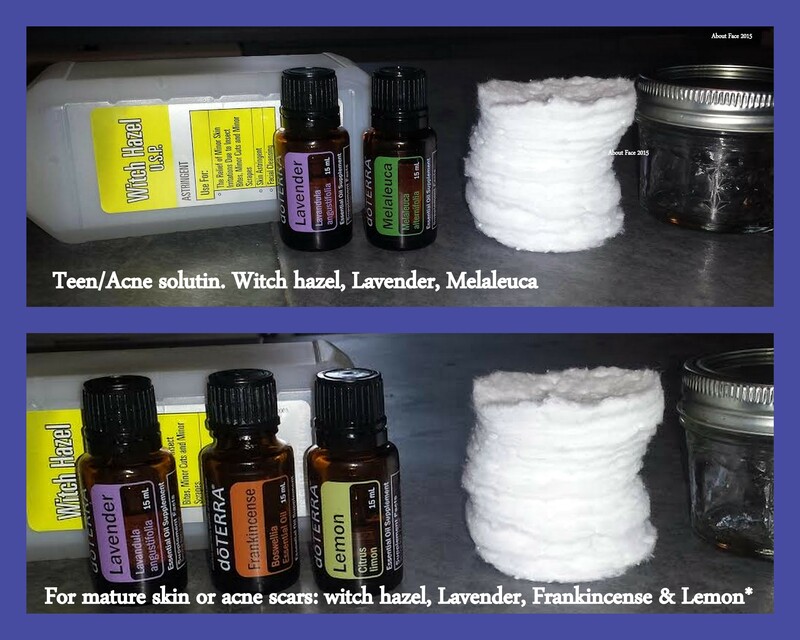 Anti-aging or adult acne scar reduction cleansing pads: witch hazel, Lavender, Frankincense & Lemon Essential oil, 14 cotton rounds, 1 jelly jar. Teen acne pads: first, place your two aspirin tablets (the non coated/inexpensive kind) into a plastic bag and pound them with a small hammer or rolling pin to crush them up. Pour the crushed aspirin into your jelly jar. (remember aspirin is acetylsalicylic acid – which is exactly how they make salicylic acid in most acne products on the market. Place 3 ounces of witch hazel in a separate small container. Add 3 drops of melaleuca and 3 drops of Lavender into the witch hazel. 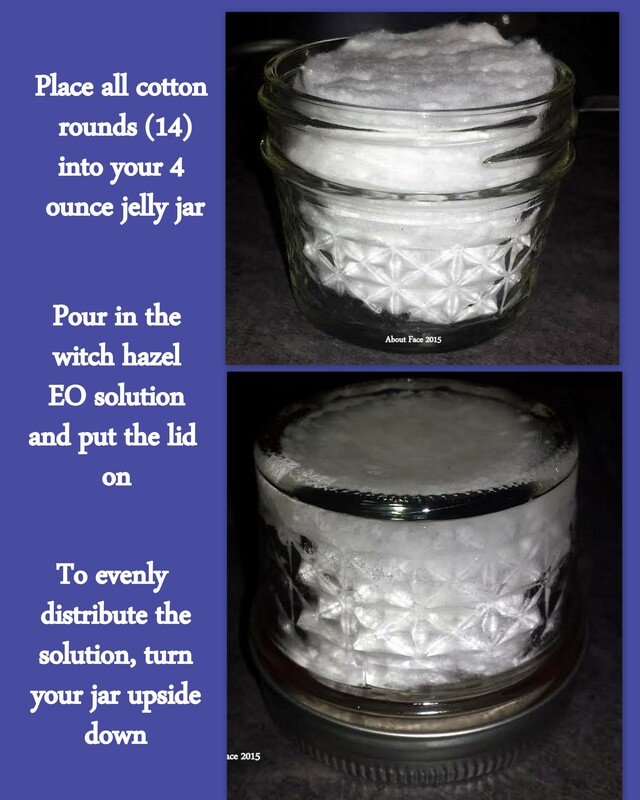 Pour into the jelly jar with the crushed aspirin and place the lid on. 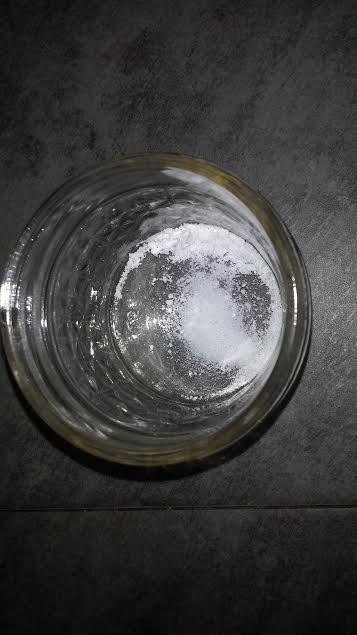 Shake it up to mix/dissolve the aspirin. After it has dissolved, open the jelly jar and pour the mixture back into the other container. Total cost for first time making container: $2.20. Cost for making each refill – just $1.33 per week! (Reuse same jelly jar). Adult anti-aging/scar reducing cleansing pads: Use the same method as above. If you are an adult that does not have acne, skip the aspirin step. The power house here for anti-aging is the Frankincense Essential oil (EO). It is proven to soften fine-lined wrinkles, smooth out the skin and reduce the appearance of scars. Recipe: 3 ounces of witch hazel – add 4 drops of Frankincense EO, 3 drops of Lavender EO and 2 drops of Lemon EO – especially if you have some brown spots or discoloration on your face. * You’ll notice in the photo above that shows the supplies needed for adult cleansing pads, I have an asterisk beside Lemon EO. This is important! If you are planning to use these pads in the morning – and DO NOT wear a daily facial sunscreen, please do not use Lemon EO. Lemon is a known photosensitizing oil – therefore it’s use can make your skin especially sensitive to sun/light exposure. The same goes for lemonade, water with lemon or any other photosensitizing EO (such as grapefruit and lime). If you are living south of the mason dixon line, or on vacation during the summer and you apply or ingest these oils – you are much more sun-sensitive! If you are wearing a daily sunscreen, then no worries. Personally, I never use a corrective or anti-aging product in the morning, I use them only at night. I do this because, first – when you are out and about and exposed to environmental factors, I doubt they have the ability to be that effective. I feel it’s a waste of money. Second, since the pH of the skin tends to even out during sleep (and no environmental assault it taking place) – I believe the skin is better capable of absorbing the peptides in these power house products. Total cost for first time making container: $3.19. Cost for making each refill – just $2.32 per week! (Reuse same jelly jar). As always – if you are not currently an Essential Oil fan, nor have them on hand, we would be glad to make them for you. In most cases, we have them available in the treatment room. However, since Essential Oils oxidize quickly – we do not leave them on the shelf for long amounts of time. (No more than one week). If you know you need or want something – please contact us ahead of time so we can be sure they are ready for you. Our in-spa cost for the teen acne cleansing pads is $4 and the adult anti-aging version is $5.00. About Face also extends wholesale pricing to it’s treatment clients for Essential Oils. If you want to save on shipping, and on retail prices – let us know which you’d like and we’ll be sure to have them for you. The EO’s mentioned above are common skincare EO’s and we do our best to always have at least one full bottle in stock. Example: Lemon Essential Oil retails for $13.33, however – current clients (have had at least one treatment in the last 12 months) will pay $10 wholesale for Lemon EO. Other’s mentioned here are: Lavender – $28 retail; $21 for About Face clients. Melaleuca – $25.33 retail; $19 About Face clients. Frankincense – $93.00 retail; $69.75 for About Face clients. Sample sizes: About Face also has sample sizes available of any oil you’d like to try. Sample sizes are 1.5 ml (approximately 25 drops of EO per sample). 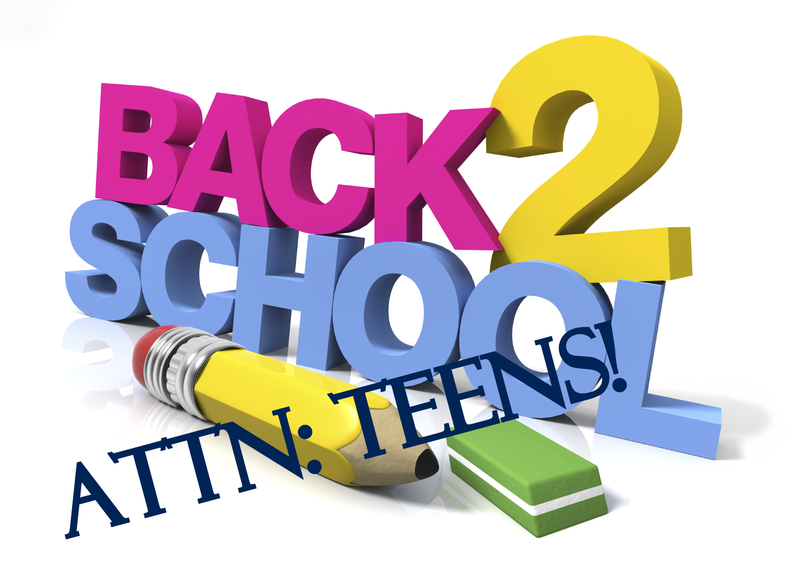 Our annual back to school Teen skin “free and clear” program is back. If you have or know a teen that would benefit from this treatment plan – sign them up. Consultation with review of current product use, activity level, diet/nutrition, sleep patterns and current condition of skin. At the end of the this consultation, the teen will receive for no additional charge – 1 regular sized bottle of facial cleanser (approximately 3 months of use); their first week of facial cleansing pads & a bottle of grapeseed oil with tea tree added. They will also have written instructions (personalized) for them as well as skincare journals with instructions for use. The will bring this journal each week to their appointments. They will have their first treatment immediately following their consultation. *Parents are not required to stay for the visit, but they are required to sign a release/permission to treat for any teen under 18 years old. During each 45 minute treatment – a teen facial with extractions as needed will be performed. If the teen would like, their brows can be shaped and/or groomed at this time (no extra cost). All treatments are customized for each teen. Total value of package: $299.00. Mention this blog post and enroll your teen for $150. Do you know a teen that would benefit from this package, but would not be able to afford it? Last year, we were able to gift two teens with free back-to-school skincare packages, and it made our hearts sing! We’re offering this again. If 10 of our slots fill up, we’ll be gifting one and if all 20 fill up – we’ll again, gift two teens. If you know a teen, please nominate them by emailing Lori at (thatwoodardgirl12@gmail.com). Be sure the teen would be able to have transportation to the weekly appointments, as well as able to get a parent/guardian signature for treatment if under 18. 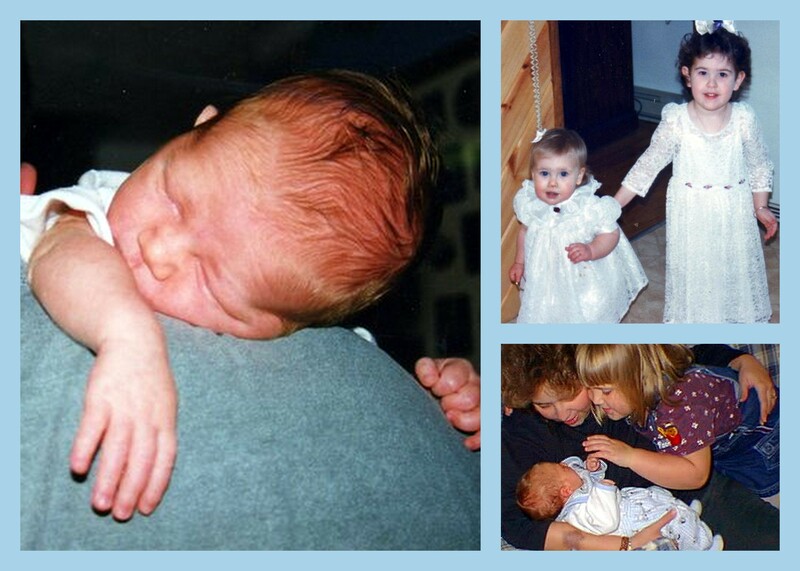 Baby B, little Lorin & Sarah and soon after we rocked Lorin’s world by bringing home her little brother. Today, I am posting this DIY baby wipe post in honor of three of my favorite girls (Casey, Jenni and I can’t name the third because it’s still a secret. shhhh) who are having babies late in 2015, or very early 2016! It feels like it’s been such a long time since mine were babies, and the fact that there will be babies that I will totally be able to get my hands on to squish and love on is just plain exciting! Did you know that commercially made baby wipes contain ingredients that carry hazard ratings? if you are really curious, head on over to the Cosmetics Database and check out their complete list of different brands of baby wipes and the hazard rating. It still makes me slightly crazy that it’s “allowable”, and yes – I am aware that many babies handle the use of these wipes “just fine”. Although, I have met many infants with chronic runny noses, colic and more – with an unknown etiology – and I have to wonder – if their toxic load was lightened- would their little systems do better? I think we all have been guilty of thinking that a product is fine – if there is no rash, or no visible sign of a problem. Now that we are reading more and more information about the gut being our second brain and the center of most disease, perhaps we’ll see some improvement in what is allowed in commercially sold products. Click here to go to the database. Once you get there, click the little arrow to the right of the word “Score” to list them in reverse order. This means the wipes with the most hazardous ingredients will be listed first. Before we get to the recipe – I’d like to point out that manufacturers are also picking up on the natural world’s “key words” – therefore words like “goat’s milk’, “green tea” and “Chamomile” are in the names of the wipes. If a product name contains these words, they have to be good right? Wrong. Those three ingredients are in the names of the top 3 worst brands on the market today. These wipes have a hazard rating of 7 and ingredients found in these wipes have been linked to allergies, high toxic loads, developmental delays, organ dysfunction, endocrine disruption – and cancer. Read your labels – and better yet, make your baby wipes at home. Save some money, remove all doubt. When I started my journey for healthier living, I was sort-of forced into it. I had rapidly declining health – at the old age of 26. Modern medicine just wasn’t working and I didn’t have time to waste with a newborn on my hands. As I looked around for healthier alternatives, I found some – but man, were they expensive! So, I searched blogsites and other resources to find that many of the recipes that existed suggested the use of baby oil (or mineral oil) and baby lotion. Eeek! If you want to be frightened – check out those ingredients on the database linked above. You can imagine how the rest of the story goes – trial and error – mostly error. Finally, I had the ingredients down in a way that would allow the wipes to work -with no skin irritation! It is simply a bonus that if you purchase the needed items in bulk, I estimate that you can save approximately $135 per year per kid with DIY wipes. Who wouldn’t cheer for healthier and less expensive? If you are just starting out your family, gather a group of Mom’s and Dad’s and co-op the batches together. Let’s gather a list of what you need. 1. 1 roll of heavy duty paper towels. I use Bounty for making baby wipes. Recall my trial and error? Cheaper paper towels just do not work. 2. 1.5 cups of boiled distilled water. (Allow to cool, but you’ll want to use it still warm – not room temperature). Note: you can use regular water as well, if you use wipes quickly and will use in under a week or so. If you are doing a larger batch, use distilled water – so they will last longer). 5. 1 tablespoon of liquid Castile Soap. I use Dr, Bronner’s Organic Pure Castile Liquid Soap, Baby mild. Click here. 6. 1 teaspoon of Grapeseed oil. I use Epicurean Olive Oil’s brand (click here), which is available at Epicurean Olive Oil Company, located at The Avenue, 2615 Medical Center Parkway #2070 in Murfreesboro, TN 37129. Their 12.7 fl oz bottle is regularly priced at $16.95. (You can save 10% by bringing your clean empty bottle back into the store). About Face also carries a sampler size of Epicurean’s Grape Seed Oil, 2 ounces, for $6.00. 7. 1/4 teaspoon vitamin e. I use JASON vitamin E, 5,000 IU – available here. 8. Essential Oils of your own choice. I use 5 drops of two oils per batch as described above. I commonly use 5 drops of Lavender and then either 5 drops of Melaleuca (tea tree) or 5 drops of wild orange. You can get your essential oils here, or by contacting me directly, mentioning this blog post and saving 15%. Okay, now that you have all of your ingredients, you’ll need a container to store them in. You can ask a friend to save you one of their discarded old baby wipe containers, or you can locate a BPA free rubbermaid container that is approximately the same size as a roll of paper towels cut in half. 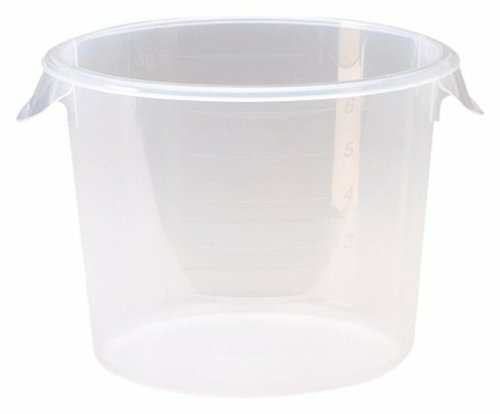 Typically, you’ll be looking for a container that will hold approximately 10 cups. The Rubbermaid #6 container works the best. This is the one I used. (Click here). Here’s the lid for that container. (Click here). 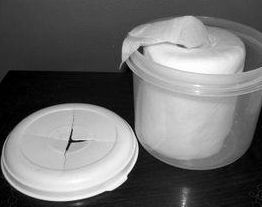 If you want your wipes to be able to be pulled out through the top, the container has to be round and tall enough. Simply look for BPA free and select the right size. Cut a criss-crossed slit in the lid and you are all set. Back to trial and error….without removing the paper towel wrapper, use your electric knife to cut the paper towel roll in half – into two shorter rolls. An electric knife is the gadget that you may have gotten two of at your wedding, but rarely use. Yes, it will work to use a regular knife, but it must be sharp and you must be really patient. I can sometimes lack patience with things of this sort and I was seriously contemplating using my table saw (but couldn’t decide how to sanitize the blade) when I thought I should try my electric kitchen knife first! Viola. a clean cut – and everyone keeps their phalanges. It may take up to two minutes to completely cut through the paper towel and the cardboard tube inside with your electric knife. In bowl mix the water, witch hazel, aioe vera gel, castile soap,Vitamin E and grapeseed oil and stir. Add essential oils if using, and mix again. Pour the mixture over the paper towel roll as it is standing up in your container and allow to absorb. This takes about 5 minutes or so. Put the lid on and flip the container over to make sure wipes get soaked through. At this point, (If you’re using the Rubbermaid container), pull the cardboard roll out from the inside. As you pull the cardboard roll out, the innermost wipe should start to come out too. This will start them for you. Pull the end of this through the slit you have made in the Rubbermaid lid. A few notes about my trial and error. Until I knew what bounty paper towel I was using, I had to add a little more water to get the recipe above. Depending on what size roll and the strength of absorbency, you may find that you need more liquid to fully saturate your wipes. I typically pre-mix a few batches of the liquid and simply store it in a mason jar until needed. If you are like me and are wayyyy past the baby wipe need stage, you could use this recipe and be the kindest baby shower guest you’ve ever seen! If no one you know, never has a baby again -you can also use a similar method to make DIY cleaning wipes. 5 drops tea tree essential oil, 5 drops Lemon essential oil, or 5 drops OnGuard Essential oil. Click here to purchase EO’s, or contact me directly and receive 15% off by mentioning this blogpost. Mix all ingredients and pour over a cut in half roll of bounty and use to clean any surface in your home! Many of you have been asking for my DIY powder laundry detergent recipe. I’m finally sitting still for 5 minutes to blog it for you all. It’s actually a very simple process especially if you have someone explaining things to avoid. Of all the things I have done to make the transition to natural and clean living, making powder laundry detergent has been the simplest! First things first – this is so much better for your skin than commercially made laundry soaps. 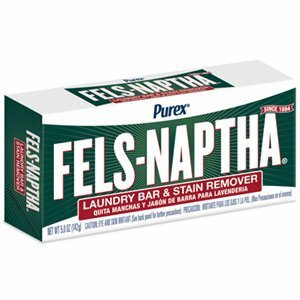 If you or anyone in your family suffers from any skin condition – such as psoriasis, eczema or skin sensitivities that cause itching, hives or swelling – laundry detergent is a great place to start to reduce their toxic load. Second, it saves time and money! I have tracked the costs and with my calculations, I am saving almost 60% over store bought commercially made laundry detergent. 1. Borax (I normally buy two of each thing when I stock up). Available at most grocery stores and Wal-mart. 2. 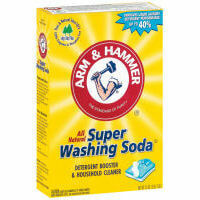 Arm & Hammer Super Washing Soda again, I buy two boxes. 4. 2 bars of EITHER Fels-naptha laundry bar soap or Dr. Bronner’s Pure Castille Soap. 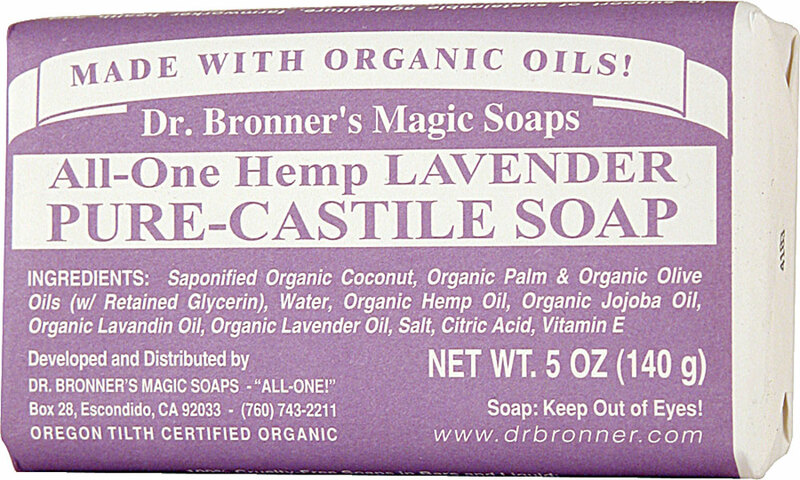 I prefer Dr, Bronner’s as the quality of this product is outstanding – and the come in different “flavors”. Typically I buy the lavender as pictured below. 1. First – take both bars of soap and either grate them (yes, using a cheese grater) or take it from me – purchase a small little Ninja food processor and cut the bar up into small pieces – grate it up, then grate it up some more. 2. Next measure in cups how much soap you have (do not crush it down, just take your grated bar soap and measure how many cups. The correct recipe is in a 1:2 ratio. Therefore – if you end up with 1 cup of grated soap, you will use 2 cups of washing soda and 2 cups of Borax. 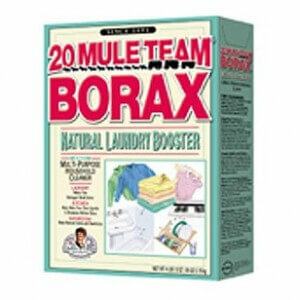 If you end up with 2 cups of grated soap, you will use 4 cups of washing soda and 4 cups of Borax. I always use just one box of baking soda. 3. Grab a large container to store it in. I bought a 5 gallon bucket from Lowe’s (it must have a cover). Toss all of the ingredients in the bucket and mix them up really well. 4. Once it is well mixed, take out enough of the mixture to fill your blender (or blender size Ninja food processor). Trust me – this will save you some clean up and some mixing. Drop 40 drops of the essential oil of your choice – I prefer Lemon, but we also use Lavender and Wild Orange at times). Blend the two items in your blender/Ninja. 5. Add this dry ingredient back into your large container/bucket and mix all together. Be sure to store with a cover! Use 1/8 to 1/4 cup for each load – and yes! It’s High Efficiency safe! *If you need Essential oils for this recipe, I do have them in stock. Lemon is $13. Mention this post and save 10%. Let me know how it goes! Like About Face on Facebook! Fighting cancer, allergies, and other bad guys...or, just understanding what we eat.